What makes a Worthwhile Man? Andy took a very long walk! 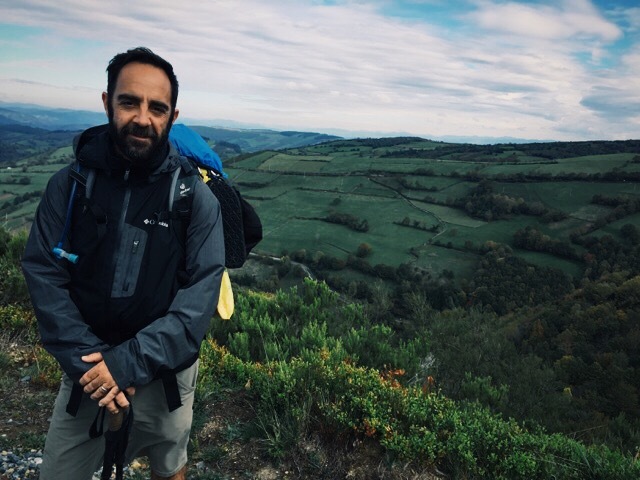 I am fresh back from a 500 mile walk across Spain, where I followed in the footsteps of hundreds of thousands of pilgrims who, for the last 1600 years or so have been making the journey to Santiago de Compostella, the purported final resting place of St. James the Apostle. It’s a journey I’ve wanted to make since I was 15 years old, and, thanks to the good graces of my wife and family, was able to do it. Obviously a 500 mile walk will give one plenty of time to think on things. And one of the things I thought on was, “What makes a man worthwhile?” It’s a term we use a lot at Camp Highlands – due to it’s central place in the philosophy of the Highlands Way. And it’s a good question for each of us to consider (as is, for that matter, what makes a person, man or woman, worthwhile? ), and one that provides terrific insight into our own expectations of character and quality. Now – spoiler alert – I am not going to divulge to you the characteristics that I feel MOST exemplify a worthwhile man. But I will gladly share with you that each summer (and this past summer in particular) I can proudly say that I saw outstanding qualities of worthwhile men played out every single day by our exceptional staff. Whether it was in the kind way they offered encouragement to a boy trying to water-ski for the first time, or the gentle way they steered some rambunctious campers towards more peaceable solutions to who gets to play teatherball next. Our staff is the secret to our success at Highlands – and I am always so proud to say that we have an almost 100% return rate for our staff. That means consistency in character, in values, in heritage and in fun. The men and women who make up our staff are the ones who define what a worthwhile man or woman is. And they are the examples your sons look to to help steer them right. It is time for me to start hiring our staff for next year – and while I know we will have an extremely high percentage of returnees, we are always open to the next outstanding young man (or woman) who will help us round out another excellent season at Camp Highlands. Do you know a great young man (or woman) who would be an outstanding addition to our Highlands family? Then please, send them my way! And, if you haven’t yet done so, don’t forget to sign your boys up for our upcoming season. Because I can guarantee that they will be cared for and counseled by outstanding men and women who exemplify the Worthwhile way. So what are you waiting for? Join us for our 2016 season!